Hello long lost friends. I am writing this post while my embroidery machine is sewing away next to me and half playing tea party with Ford while Lucy naps. Multi tasking is how we get things done around here lately! I've been working on Lucy's birthday party, Jon has been scrambling to finish his 1949 Ford F1 by THIS Friday, and we've been spending a lot of time with people at church, neighbors, and friends. Summer is around the corner and I've been packing away clothes and getting the kiddos summer things ready....I can't wait for pool season. I actually rejoined the gym (24 Hour Fitness) and have really been enjoying going about twice a week and either taking a Zumba or kickboxing class or binge listening to The Happy Hour with Jamie Ivey podcasts while pretending I know what to do in the free weights section. The kids love the childcare area and I am thankful for that alone time to take care of my body but let my brain rest! I am starting a new bible study at church Monday... Jennie Allen's Stuck and I couldn't be more excited to dig into the word with some of my best friends... AND childcare is proviwoot woot. Jon and I booked a baby free weekend getaway the week after Lucy's birthday... can't wait to tell y'all where we are going! I am almost done nursing Lucy and it is very bittersweet because she will be our last biological baby but boy am I ready. She is climbing up and down everything these days and proving to be quite the wild and crazy little lady compared to my safe and calm Ford. We are also getting our media room finished right now and it should be done in a few weeks. We can't wait for family movie nights! We don't have any adoption updates as of now. 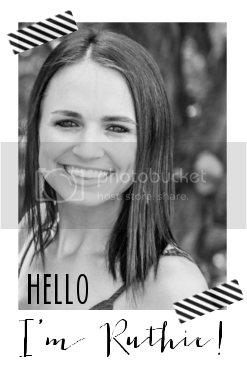 We absolutely love working with our consultant and are surrounded by an awesome community praying for us. Now that I've managed to write the most random paragraph ever, I will leave you with some pictures! We go upstairs almost every night around 630p after bath and play until bedtime. If you follow me on Snapchat (username is ruthiehart1), you'd know that Jon makes the kids a "tent"/fort every night. They both have a blast upstairs playing and it gives me a chance to lay on the couch or even stay downstairs and shower/relax while they get daddy time. I took Lucy to a Music Together class yesterday and girlfriend had a blast. She especially loved the shakey eggs and scarves. I am going to enroll her in music class for the fall while Ford is at school. We got this new Arshiner Laugh & Learn Tea Set and although it was meant to be for Lucy for her birthday, Ford is obsessed with it. The pieces are pretty small so I don't think she'll be playing with it for a while but Ford is loving having tea parties with me, cutting the cake with "real knives", and singing happy birthday with candles. It is such an adorable little play set and would make a perfect gift for a 2 year old who likes pretend play. 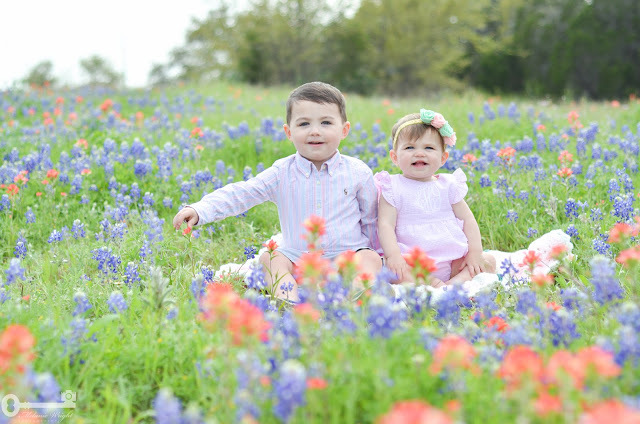 And last but not least.. a sneak peek of my kiddos pictures in the bluebonnets with Melanie Wright Photography right here in Steiner Ranch. Okay friends, until next time! Happy Wednesday! Ruthie, you have such a beautiful family! Love following you on snapchat.